Thunderbird - A Free, Open Source, and Powerful Email Client - Ask Leo! Thunderbird is a robust and powerful email program that can meet the needs of both light and power users. I use it all day every day. Free: You already know that Thunderbird‘s free. That part’s easy, and makes it something that is risk free to try and experiment with before deciding. Comfort: Most users of Outlook Express will actually feel very comfortable in Thunderbird. Basic operation is very similar. File Format: Thunderbird uses a standard, common plain text file format for its data store (mbox format, for the geeks among us). Many email programs use proprietary database formats that, quite frankly, seem prone to breaking and make it difficult to move from machine to machine. Thunderbird uses a simple on-disk folder structure that mirrors your email folder structure, and actual email is kept as plain text files. Moving your Thunderbird email from machine to machine is as simple as copying the folder tree. Cross-platform support: I’ve successfully moved my email not only between Windows PCs, but also to my Mac and to my Linux machines. As I said, transferring was a simple copy of all the folders and support information. The result was that not only did my email get transferred, but all the account settings, filters and even supported extensions were moved as well. Extensions: like its cousin FireFox, Thunderbird has a number of powerful Add-ons available. Examples include Lightning, the calendar add-on and the Google Calendar Provider, the Enigmail encryption add-on, QuickText which allows you to enter common responses with a single keystroke, and one of my favorites, Nostalgy which allows you to copy or move messages between folder extremely easily using the keyboard. Filters: Thunderbird supports a set of very powerful filters that allow you to have it take action automatically on mail as it arrives. For example, I have 37 separate filters that automatically sort incoming email and place it into various folders based on various criteria. Your needs may not be that complex, but simply being able to say things like “if this is from someone in my address book, move it into this folder” is a powerful way to prioritize your approach to email. … Thunderbird remains my recommended alternative to almost every other desktop email program. Naturally, there are many more features that may appeal to you. I encourage you to have a look. If you don’t already have a favorite (I acknowledge that email programs are often a personal, even passionate, decision), or you’re struggling with the drawbacks of whatever program you’re currently using, Thunderbird is worth a look. Back Up Your Email Using Thunderbird - Using a desktop email program to back up your email is a very good way to avoid potential data loss. I'll show you how to backup your email easily, using Outlook.com and Thunderbird as my examples. my question is email client versus web based access. is it necessary or better to have an email program? i use webmails and never felt the need. i have tried windows live. i like its vista look but i find web based access faster. at least in gmail (web) i can filter items and send them to whatever folders i create. i can access such sorting from any place unlike in the case of email programs. am i not utilizing the mail programs efficiently or do i actually not need them? im talkin about home use. i have lotus notes at work and cant change that. To be honest Leo if we compare between (thunderbird – outlook – other email clients) , thunderbird will be the first competently , But for me i prefer to use online mail service as Gmail. Can I access my account in Thunderbird? Also, is there a way to transfer my entire Outlook directory structure (in outlook data files) and contacts to Thunderbird without losing any attachments etc. etc. ? I use gmail’s web client because it’s convenient and syncs easily (as in, it’s the same everywhere cuz it’s web based). But as Leo has pointed out before, what if Gmail were to go away tomorrow? What then? If you don’t care, then web based is perfect for you. If the thought causes heart flutters, that’s where Thunderbird comes in. I leave Thunderbird open on my computer simply to download and backup mail. No, it’s not organized very well, if at all, but it’s backed up. If gmail were to disappear I’d be inconvenienced (as it is my primary email address), but I would have all my email. I rarely ever have to look for messages in Thunderbird. And it’s nice to have it there if I need it. I like Thunderbird, but there are a few huge problems that the team refuses to look into. (I’ve been on the mozdev boards). 1: try sending emails with pictures, we do this at work all the time. Doesn’t work in Thunderbird. Or forwarding. 2. Cant handle rich text properly. 3. Calendar plugin is not smooth, doesn’t fully replicate Outlook functionality. I would Love to replace Outlook, as it has ~no usability. (31 configuration forms and rising, and no evolution over time with the exception of the move to unicode, thankfully no 2GB limit anymore.) Tbird is a nice start, but the development team is not anything like Firefox’s team, who fix bugs with the quickness. embedded, what have you. Works great. in some cases, than Outlook in my opinion. scheduling and the like may be better served by Outlook. Thunderbird won’t import mail or addresses from Microsoft Mail (Outlook Express replacement). Without that functionality, it is completely worthless to me. Thanks Leo, I just tried “Thunderbird” and love it to death, I was using “OE” than that switched on me when I installed “MS Office 2007” to “Outlook” by default. I hated “Outlook”, it was just to busy for what I needed, but “Thunderbird” is great, just what I need and so much faster than “Outlook” Plus being able to “POP”download my “Hotmail”. Thanks again for the recommendation. One caveat tho, first time I installed it I transferred my “outlook” settings to it and had no way to put in my passwords so I had to uninstall and reinstall adding my accounts separately. I like Thunderbird very much. Except, it won’t work with AT&T/Yahoo browser. I can’t seem to get any help from either AT&T or Thunderbird. I had to use port 26 for POP when I had ATT rather than the customary port 25. I guess I haven’t been paying close enough attention. I didn’t realize that “Outlook Express” is going away. When I got a new computer a couple of years ago, I also purchased Office and tried “Outlook,” but quit using it after a few days and went back to “Outlook Express,” which I still use. As Leo often suggests, I have Windows automatic updates turned on, but after virtually every update, it changes my email client back to “Outlook.” I even tried removing “Outlook” but it still does that. I’m trying to figure out from the above commentary about “Thunderbird” if it will import my files from OE, including the address book, or do I have to start over? I’d dread starting over, because I frequently refer back to emails that are a couple of years old. If “OE” goes away, I don’t know how I’ll be able to do that. I believe Thunderbird imports from Outlook Express. I haven’t heard any mention of’windows live mail’. I like it better than OE and Outlook. Leo – Please! – Thunderbird does not import my files from Windows Mail. Friends have the same problem from OE in XP. It just doesn’t work. Please advise. I followed to this article because I am looking for a different email program than Thunderbird. My only complaint is how it handles embedded photos when they are sent from a Microsoft program. Yes, I know, it is Microsoft’s not following standards that is causing the issue, they say the picture is text, and as such Tbird is ignoring it. HOWEVER — it is annoying as all get out and if people have written their email counting on you getting the pictures embedded even more annoying. I tried to find some way that I could change the source doc information so it would display properly. Certainly the plug in that I tried took forever to change one statement and I had about 5 to change — not worth it. glad to find a big Thunderbird fan out there, I’ve been happily using it as an alternative to OE for a few years now. In fact I run my 3 little businesses, and personal stuff on it, and that’s the reason for my question. My wife and I share about 3 PC’s for the businesses across our LAN, and I now have a shiny new NAS (synology DS209), on which to store all our files centrally. I’d also like to put our mail server on there, so that no matter what PC we’re on we can work on email. Do you have any experience of setting up T-bird like this, or do you always just have your mail living on one Pc (plus backups)? Not sure what you mean by “mail server” in this context. I’d be reluctant to put Thunderbird’s mail store on a networked location – one little network hiccup and I’m not sure how it’d react. I keep all my mail on one primary machine, and replicate that out nightly to backup locations. I have just synced my Gmail with Thunderbird as it seems like something that should make my life much easier…it imported all my inbox however it completely ignored my labeling structure and more importantly my sent box which i really need for reference. Any tips on what might have gone wrong/how to fix? Sent messages aren’t downloaded by POP3. And labelling is a GMail web-only feature. I have emails archived and several machines back from my first OE and imported to each new machine. To get all your sent items on the old email client (OE) make a folder, I named mine xsent and copy all of your sent files into that. Then it will be treated like any other folder. I have a lot of email for my business so keep a huge file (xsent) with all and then I keep three years worth in xsent2014 xsent2013 xsent2012 makes it faster when I know what time I need to reference. Leo I have found your information very helpful. I am in the middle of getting a lot of XP Pro batch files, and legacy software to work in VM mode 7 Pro machine. I also have legacy equipment which is what I am trying to get to work flawlessly. I have a win 7P machine but spent 99.9 % time on XP and even though I know that 7 has a lot of benefits over XP….I just feel faster and more productive on XP. Your info has explained the benefits and I am seeing 7 in a new light. Yes you can import all your old email from Outlook Express and your Address book too into Thunderbird. Thunderbird can’t import from Windows Live Mail. And, Blackbury will not sync with Thunderbird. Two good reasons not to use. Used to use Thunderbird until Gmail came out in ’05(?). I don’t need to bother with backups, don’t need to lug machines around, don’t need to transfer settings and files to new machines. Now with Google Gears, all the info is also synched to my laptop so I can use Gmail/calendar/tasks/docs off-line. All my POP3 email for my business is automatically transferred… I can’t for the life of me think why I’d ever use an email client like Thunderbird/Express (uughhh)/Outlook, etc. For about a decade, I have used the basic email “engine” for Thunderbird (even since it was part of the Netscape email application). TBird has been a reliable, stable email application, and these days, that makes it a prized asset. TBird is not only very solid and easily handled, but an easily-fixed application– not that it ever needs much attention. What I like best about TBird is the new anti-spam (“Junk”) feature, which makes life far easier than when we had to use filters for each email box. The junk filter is very good at guessing what is sales junk mail and what is subscription or other mail. And the few times TBird’s junk filter threw my good email into a junk folder, I “taught” TBird to correct its error by simply restoring the message (dragging it back to its correct folder). TBird “learns” each time I correct a mistaken junk mail identification, and becomes “smarter” every day. The nice thing about using TBird is every user can visit one of the TBird forums (from the main menu, under “Help Contents”) for free assistance from other users, many of whom are experts. Does Thunderbird do newsgroups, the way OE does??? Leo, I’m rather surprised that you didn’t mention this photo embedding thingy in the article and then commented on by Judy Currior Jly 4th. It’s important to me that pics get sent down the line in the usual O’Ex way ? I have used Thunderbird for years after switching from Eudora. But I have a beef with v2. When you forward an email there is now all that gobbledygook at the top that is redundant info that I know have to take the time to delete! I didn’t used to have to do this and I can not find a way to shut this off. Any suggestion? After just having moved to Windows Live Mail from Windows Mail, with TONS of problems trying to move my address book, I’m sorry that Thunderbird cannot handle the WLM addies. I’d move but for that. I hate Windows Live Mail. Nowhere near as good as Outlook Express was. Would be very interested in your comments on Thunderbird 3. I think they took a good product and broke it. I’ve been pretty happy with 3. There are a couple of minor annoyances, but overall I’m just as happy as before. I took your recommendation and replaced OE with Thunderbird (v3), but it only received email for the first day! I suspect it has to do with supplying my password but my attempts to configure the account manually simply failed. It does seem to be broken. The Thunderbird Support pages have reports of lots of similar problems but virtually no solutions. I have reverted to OE until further notice. The most important question is not even addressed here. If switching from Outlook Express email to Thunderbird, how do we import our current email messages and folders into Thunderbird, and are there any pitfalls or limitations? We have been using OE for years and have thousands of messages (approx. 12 GB) and hundreds of folders to preserve. Can our current OE store database be safely and successfully moved over to Thunderbird, and if so, how do we do it? At present I’m using OE6 and have ChoiceMail Free as a spam blocker. If I were to switch over to Thunderbird are you aware of any problems this program may have with ChoiceMail? Thunderbird looked ok, except I could not find a way to have two separate and distinct identities, i.e., my fe as one and I as the other as I can in OE. TBird seems to treat identities as accounts. Did I miss something? Look into “Profiles” with Thunderbird. You’ll need to spend a little time with the documentation, as it’s not as easy to set up, but once done works well. QUERY: Does Thunderbird do Newsgroups? In Thunderbird, is it possible to print out your contacts as a small booklet — as you can in Outlook? Doesn’t look like it, no. I’ve been long-tempted to switch to something other than my Yahoo webmail, but I always get stopped at the same 2 points: 1) All my mail is always (mostly) available from anywhere and 2) POP3 is not friendly to any of the email clients AFIK. Thousands of emails and counting in both my sent and received folders across three Yahoo accounts and no hope of getting my sent items into a client email. And so it goes and in time, the problem only grows! I’d use Thunderbird (1st choice) or Outlook (maybe) if I could figure out how to transition, but I’ve searched and googled and yahoo’ed and ASK.com’ed and BINGed and I just don’t get how to do it. Actually, I think the POP3 answer is, “YOU CAN’T DO IT”. I can’t even find a bullet to bite! Any suggestions except to just keep being a Yahoo? Anyone? Hello? Is anyone there? I have all my contacts in a plain text file how do I import them into Thunderbird’s address Book. John. I have a comment about Thunderbird that I’ve written about on Leo’s forum before, but none of you savvy readers has responded to: Thunderbird and Windows Live Mail are s-l-o-w in comparison to Outlook Express. I suspect that the reason is the compression scheme used by Outlook Express, but no one has been able to verify that for me. I thought the slowness could be just my mistaken perception until I timed a daily download using both programs. I was right. Outlook Express beat out Thunderbird by almost nine seconds on a download of 67 e-mails. I understand Leo’s emphasis on the simpler file structure of Thunderbird, but if you follow his advice to back up daily, you’re not going to lose your stored e-mails, no matter what file structure your program uses (I hope!). I also think the missing identity problem that Jack Laitala spoke of is a serious weakness in Thunderbird. Or is there a way around this defect? I have experienced issues with Thunderbird mangling the filenames of attached files if the name exceeds a certain number of characters (somewhere about 50 characters). In these instances, the filename is truncated without the extension and the user cannot open the file until they rename the file with the correct extension. This only happens to my client base who use Thunderbird. Alas, I can’t use it. My email is a hotmail and Thunderbird doesn’t support its DeltaSync protocol, moreover, hotmail’s POP3 support is not comfortable. In answer to Edward R., wait until you have a problem with Internet Explorer, then see what happens to Outlook Express…. crash! They are tied together, and that’s the worst way to run an email program. I use Outlook, and am heading toward Thunderbird, which is cross-platform. I use Ubuntu interactively, and really like Evolution, but unfortunately it is not stable in Windows. I run apps on two machines, and keep all data on a NAS data server, including email data, with a backup on a 1 TB USB drive pig-tailed off the NAS. I run Nova backup on a schedule for the backup protection. If I need to save any info on my web-based email, I just forward it to one of my pop accts and it gets backed up along with all the other files. I use Thunderbird as Outlook will not allow me to send “bulk – >100” cc/bcc at a time. I have used thunderbird since they started i think; many years and have no interest in changing..i DO use gmail occasionally but t-bird is #1 in my book. Maybe I just missed it. I tried Thunderbird but I could not see how to secure the program with a password so that other people could not come along and read my email. How do I do that? Thunderbird allows you to password protect your automatic login to download email, but it doesn’t have a password to prevent people from accessing your already downloaded emails. This could be accomplished with a password to login to Windows, or encrypting the Thunderbird files using Truecrypt This would be easiest to accomplish using a portable version of Thunderbird installed on a Truecrypt drive. Thank you for your reply. I appreciate it. Although I did not consider using a portable version of Thunderbird on a Truecrypt drive, all that just seems like to much trouble when I can use Outlook with a password or prior to Windows 7 Outlook Express with a password. While Outlook may allow you to specify a password for the PST, Outlook Express never did (and even if it did, I wouldn’t trust it – it’s very easy to crack into). Outlook is the exception – most email programs do NOT provide password protection of your downloaded email. I am new to thunderbird. I do not know how to send email to several people without having to click bcc for each and everyone. 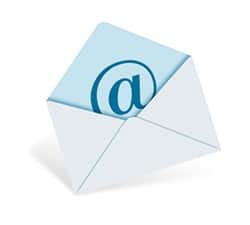 The only way I have found around that is to click on an address folder which will place everyone in that folder in the bcc, but many times I do not want to send the email to everyone in that folder. I do not know how to open the folder once it is placed on the bcc line for addresses to be sent. I would appreciate a solution to this problem. I have installed T-bird for the first time (as a replacement for Eudora, which I used for many years), and although I can receive mail, I’m unable to send it. I’ve tried altering various settings for outgoing mail, but to no avail. Do you have any suggestions about possible fixes, or settings I might have overlooked? without knowing exactly how it’s failing it’s hard to say, it sounds like you’ve already done so but triple check the sending server settings to make sure that they are configured properly for the SMTP settings provided by your e-mail service provider. Leo, I use TB3 for reading my email, I know TB can be used to read NewsGroups also but I haven’t used TB3 for that (yet). When I read email, often someone will Forward a message with a clickable link in it. I use the Add-On called Dr. Web to scan each link before I will click on the link to see if it is Clean, all I have to do is just Right Click on the link in the email and select the “Scan with Dr. Web” option. Dr. Web is also a Add-On for Firefox. I Backup Thunderbird and Firefox using a program called MozBackup. I store my MozBackup files on TWO External USB Drives when I use it. Someone may have already mentioned either one of these two ideas to Your “Comments” on this page, I just wanted to give my ideas to everyone, without taking the time for reading all 49 comments. Thunderbird is on version 6.0.2…. I’ve been using Eudora since 1993. Now I am 89 years old and fear changing to Thunderbird even though I know it’s the right thing to do. How easy is it to do? Stepwise. I’s not difficult to switch to Thunderbird, but if Eudora works for you , there’s probably no need to change. If it’s not broke, don’t fix it. I have used TB on many computers for many years and love it, however am having one problem with one of the versions (V2.0.0.24), this one has many folders and sub folders, every time I try and update the folders and sub folders are lost. I have been on the forums and not found a solution. My computer is now up to V11.0.1, I have upgraded with no lost of folders (although I don’t have subfolders. Any help would be very gratefully received. I’m a long-time user of Thunderbird but I’m constantly irritated by its propensity for spontaneously changing my Address Book from normal alpha-numeric, either to reverse order or the even worse tendency to place added contacts randomly in the list, making it difficult to find an email address when sending. Visits to the forums hsve been fruitless. John. With Thunderbird, how do you copy all emails from a folder into one file? I have read the article and all of the comments and the subject of Tbirds contacts/address book is never mentioned. I have labored with this twice and found it extremely tedious. I was never able to get my Gmail Contacts into Thunderbird. Mapping field names was the most difficult/impossible task for me. If I could get over this hurdle I would probably return to Thunderbird. The Mozilla Foundation recognizes the popularity and value of Thunderbird– my reading of the Mozilla announcement is more administrative rearrangement, and nothing which will alter the very successful approach of Thunderbird, itself. More directly to your question, TB has had a very long life due to its remarkable utility. Future development of TB will follow users like you, and attempt to match your needs. In contrast to corporate properties like Chrome, Mozilla TB has a mission focus which continues to gather fans and supporters. I use Windows XP and have switched to TB. Can I now delete OE without any problems? On the Google Mail page, click on the GMail button and select contacts from the dropdown menu. Next click on the check box above all of the individual contact check boxes to select all of the contacts.Then click on the More button and select Export. Next highlight All contacts and vCard format then click Export. The file will be saved as contacts.vcf in you Downloads folder. In Thunderbird contacts, click on Tools and then select Import from the pulldown menu On the next screen select Address Book. Highlight vCard file (.vcf) and click next. Navigate to your Downloads folder and select contacts.vcf and click open. This should import all of your GNail contacts into TBird. If you’ve backed up all of the emails and contacts you need, it’s safe to remove IE. But, OE isn’t uninstalled through the normal uninstall procedure. Go to Add or Remove Programs, click on Add/Remove Windows Components, scroll down and uncheck Outlook Express and click next. That should remove it from your system.Finally click finish and it should be uninstalled. I agree with Leo I have used Thunderbird for 2 years now and once you get into how it performs there is no going back to Outlook. I like Thunderbird, especially on Linux, but the one feature I miss compared to Outlook is the delayed send feature. Once this gets added to Thunderbird, I’ll have another look at it. You can use the ctrl-shift-retutn to send the message to the outbox instead of sending it right away, or there is a send later add-on for Thunderbird which can send your email at a scheduled time. can I import my oe address book to thunderbird? Converting to Win 7 soon. Is Thunderbird still your recommendation for stand alone email. Is it just because “I’m stuck in a rut” that I fail to understand where Thunderbird is “so much like Outlook Express”? I did try it after I lost OE by going to w7 but didn’t find it as easy to use. It seemed more complicated. I finally managed to install the Vista style WindowsMail which IS so much like OE & I love it but since it’s not supported anymore I do somewhat worry about problems and really should give thought to changing to something else but don’t want ‘web style’ like gmail,yahoo,etc. I’m currently using Outlook Express on an XP computer. I did see the advice on trying out new email (and other) programs on the old computer before transferring to the new. their responses bordered on whiny and surly. I decided TBird was not for me and uninstalled it. I tried eMClient and that imported quite nicely. Alas, my internet provider has no experience with it and doesn’t know how I’m to configure it to actually retrieve email. The email programs they do support are WindowsLive, a couple obsolete programs, … and TBird. Do you know a migration path to get from OE to TBird? I’m also considering a new internet provider. Last I understood migrating from OE to Thunderbird didn’t require any addons. It could have changed, though, since OE is being deprecated all over. You might try downloading and installing Windows Live Mail. Earlier on someone else mentioned using Mozbackup to backup Thunderbird. I use it nightly to backup. I have found that sometimes TB will not use filters correctly after a restore. It says I do not have permission for that folder. This can happen when restoring to a different computer or even the same one. Then I just make a minimal change in the folder name used in the filter I use like Mary to Mary2. I may be able to rename it back afterwards. Not sure why this happens but this is a work-around. I do have a gmail address and use that pretty much if I want something available w/o being at my computer. I really did not fall in love with GM. I’d like to evaluate Thunderbird using a new email addr but it appears that a new addr (thru Gandi.net) costs $. Am i missing something ? Is there another way to create a new email acct in TB ? Often your ISP will supply you with a free email address. You can also use Thunderbird to access free accounts such as Gmail and Outlook.com. Sure. Just go to your favorite free email service like Gmail or Outlook.com or Yahoo or others – create an account online, and then configure Thunderbird to use that account. Is there a way to have thunderbird ask for a password before I can access my mail. I set a master password but it looks like that secures access to stored thunderbird passwords and not stored mail. As far as I’ve experienced, that’s not possible. Thunderbird is my email program of choice. However, since a month or so am I receiving very annoying messages from Yahoo. I am using a Yahoo email account. Yahoo does not like it that I use an email client program as they are of the opinion that it weakens security. They are trying to force me in various manners to stop using it and only access my Yahoo email through their website. These actions from Yahoo are not limited to Thunderbird only, they send the same messages if you use for example the Mail program on an Apple iPad. I’m curious. How are those warnings coming. I have a Yahoo account which I access on my Phone, Tablet and Thunderbird, and I have never received any warning. I guess that you can see the email address related to this comment? If you contact me via email I can forward that Yahoo email to you. All of my contact with Ask Leo! readers goes through “official” channels. I’m sorry. I don’t understand what you are trying to tell me. In other words, I can only answer questions on the comments section of an article or through the Ask Leo! Ask page. I can’t answer via personal emails. Strange response Mark. I’m telling you that I receive emails from Yahoo about not using Thunderbird (or another email client). You ask me to show it but won’t tell me how I can forward that email to you. In that case does our conversation end here. I told you you could send it as a question to Ask Leo! on the Ask page. You can copy and paste in the email.I don’t contact any readers via email. I’ve been using Thunderbird, probably because of Leo’s recommendation, for a long time. No problems. But I do have a question I’ve been wondering for a long time. Maybe someone on this forum can give some insight…. Most of my email addresses are “@aol.com.” Each of those addresses have both a “junk” and a “spam” folder. Virtually everything that shows up in the junk folder is spam and everything that’s in the spam folder is junk. What’s the difference between the two folders? My more important question: for quite awhile I have been marking all my many emails in my spam folder as junk, moving them to the junk folder, and then deleting them. By doing so is Thunderbird and/or AOL “learning” anything — or am I just wasting my time? The amount of spam/junk I’ve been receiving in recent months has increased dramatically (up to 100 emails per day at several of my AOL addresses). Thus, I presume that what I’ve been doing (marking spam as junk, then moving, then deleting) is a complete waste of effort. Insight (especially about AOL’s junk/spam folders) appreciated. The terms junk and spam are synonymous in this context. When you use Thunderbird it displays both. When email is received by AOL it is analyzed by AOL and email that is considered spam is moved to the spam folder. When you later download your email into Thunderbird, that email is analyzed by Thunderbird and email that is considered junk is moved to the junk folder. When you mark something “as junk” in Thunderbird you are training Thunderbird’s junk filter ONLY. In order to train the AOL filter I believe you actually have to log in to AOL’s web mail and mark things as spam THERE. I don’t believe moving messages between the folders trains anyone, but I could be wrong. I think it’s the “mark as” action in either location that actually does the training, but only for the location in which you perform the action. Hope that makes sense? I probably need to write up as an article. It’s a common point of confusion. You can direct Thunderbird to send all of the Thunderbird filter’s junk results into the AOL (or other email provider’s spam folder). Then you should be able to delete the Thunderbird junk folder. As Leo mentioned, this probably won’t train the AOL junk filter, but it will reduce the number of folders you have to deal with. On the down side, you won’t know which filter is filtering what if that’s important to you. I personally like all my spam in one place.